Fasting increases your sincerity to Allah (swt), which leads to true happiness. 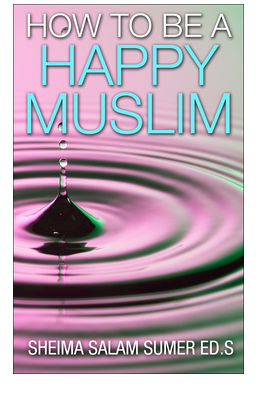 As I mention in my book, “How to be a Happy Muslim Insha’Allah,” the real source of happiness is a sincere relationship with Allah (swt) based on worshipping Him alone. Fasting is a very special type of worship. Allah (swt) says in a hadith qudsi, “Every deed of the son of Adam is for him except fasting; it is for Me and I shall reward for it…” (Bukhari, Muslim). Islamic scholars have many ideas as to why Allah (swt) says that fasting is for Him alone. Some say that there is no “showing off” in fasting, since only Allah (swt) can know for sure if a person is fasting. Some scholars say that the phrase “it is for Me” means that fasting is the dearest act of worship to Allah (swt). Fasting is difficult and proves your sincere faith in Allah (swt). Psychology research shows that our behaviors shape our personalities; therefore fasting shapes us into more sincere Muslims. 2. Fasting increases your self esteem. Self esteem is how we feel about ourselves; our sense of self worth. A high self esteem directly relates to our inner happiness. Fasting each day for a month is quite an accomplishment. Each day that we fast, we feel a sense of triumph. Not only are we obeying the command of Allah (swt), we are gaining mastery over our physical desires. We should also feel good about ourselves because we are living a life pleasing to Allah (swt) rather than the materialistic life that so many people choose. 3. Fasting increases your sense of gratitude. 4. Fasting increases social ties. Psychology research shows that positive social relationships are necessary for emotional health. Islam encourages us to break fast together. Fasting increases our feeling of unity with our ummah. 5. Fasting increases our self-awareness and self-control. Fasting involves controlling what we say and do, as well as our stomachs. It is normal to feel irritable or down when fasting, for biological reasons. Being aware of these feelings will help us to control ourselves. Self awareness is important for psychological well-being because it prevents us from acting in ways that we may regret. Self-control is a trait of mature and emotionally healthy people. Reminding ourselves about the psychological benefits of fasting will help us to love fasting even more. What are other psychological benefits that you gain from fasting?